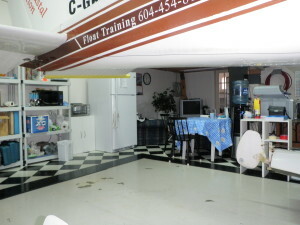 This is the place for my 50 hour course on floats. We’ll go flying everyday for up to five hours! 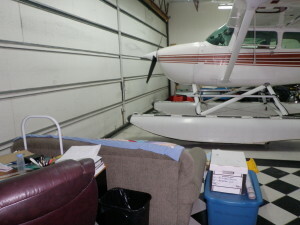 I hope the many hours of instruction will turn me into a good pilot, which I am certainly not today. We went flying in the afternoon after I did my groceries. Once in the air we explored the surrounding area and followed the Pitt River and Pitt Lake at 500 feet (150m). The airplane is demanding and teaches me a lot. It has only 160hp for a reason. 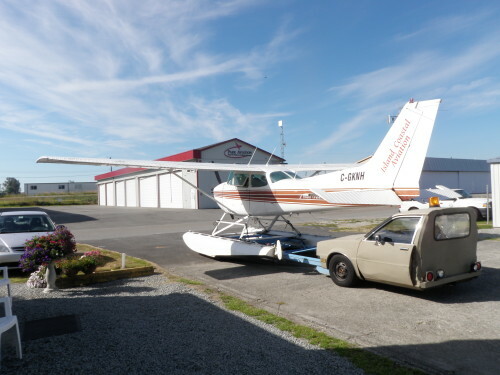 Tom asked many float plane operators around the country and they all told him a Cessna 172 is the most difficult seaplane. They say it feels like flying a fully loaded Beaver or C185. It wasn’t easy to get it off the water. The Super Cub at Kenmore just jumps off the water but in the Cessna proper technique, how to gain speed, is all that matters. During the takeoff I had to keep the airplane at a certain pitch attitude. Beeing only a few degrees too high or low caused drag on the floats which slowed me down again. I think I did a terrible job today. But I’m still learning… that’s okay, I tell myself. 🙂 The area was busy. Many boats were on the water. I learned where to land and where not to land. Oh, and I had a Seal (Seeloewe) under my wing today! It followed the Salmon up the river. Next Post 16.8 SES – Beautiful British Columbia *Video!